Mark 16:15 He said to them, “Go into all the world and preach the good news to all creation. It is time to go into the entire world and tell all people….neighbors….friends….family….co-workers…acquaintances.…..and complete strangers about the good news of Jesus Christ. It is the time and has been the time since this great commission has been given. In the past few months we have had, earthquakes, hurricanes, floods, hailstorms, fires, extreme heat, and tornados. Many people have lost their lives and have lost their houses, businesses, cars and belongings. The emotional effect that all of this has had on people is tremendous. Right now we know that people need financial help to get back to a place of physical comfort…but people also need hope and encouragement. This is the TIME for us Christians to be discerning, wise, spirit led, gospel spreading, love overflowing, encouraging, caring, helpful, Jesus imitating, people that God wants us and has instructed us to be. What time is it? It’s time to tell others about the good news….John 3:16….so others might experience God’s grace and mercy for their lives. Many are upset, confused, and discouraged by all that has happen to them right now and there are many hurting souls that are looking for answers and help. It’s time to speak up…..to walk the talk…..let our light shine….lead folks to the light…our Lord Jesus Christ. Mathew 5:14-16 “You are the light of the world. A town built on a hill cannot be hidden. 15 Neither do people light a lamp and put it under a bowl. Instead they put it on its stand, and it gives light to everyone in the house. 16 In the same way, let your light shine before others, that they may see your good deeds and glorify your Father in heaven. To my Christian brothers and sisters out there…..please share your faith and the hope you have with anyone the Lord leads you to. I know it’s challenging to start talking about Jesus to people, but you are not alone in this….the Holy spirit does the big work….He’s already working on people before you open your mouth….we need to be ready, prepared and available. The time is now…..this is your season. The Lord gave me this message today…..God speaks…I listen….and share. Message for today: Somebody is waiting for you to share your faith…..Your neighbor has been watching you… to see how you a Christian…. is handling your stressful situation….Your co-worker loss her home and is depressed…..how will you act….what will you do…what will you say…. 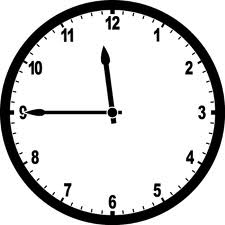 What time is it?….look at your watch right now….that’s what time it is….yup….it’s now…Let’s roll! After the shock of today’s earthquake in New York I decided to change my blog topic. I am not shocked at today’s events…not one bit. I have been praying for souls since 1985…about 26 years now. Every day…. that is all that’s on my mind….well also this…that believers love the Lord so much and obey Him. I believe God is using Christians in this day to spread the gospel of Jesus Christ but I feel many people are not. I believe God has implemented His plan and I feel its happening. I believe the earth is groaning like a woman in labor waiting for all God’s power and Glory to have its way when His plan for this earth and mankind is fully manifested. These labor pains have intensified and are being revealed at this present time. His plan is that He, Jesus and the Holy Spirit knows what it takes to get the bride ready and they have implemented their plans of drawing all men to God through Jesus Christ. Intense calamities are one of the biblicial ways that have proven successful in the past in getting ones attention. Suffering will either make you bitter or better…and I’m thinking here….better…..Either you’re going to seek God or you’re going to run. This is a time not to be fearful, afraid, apprehensive, and anxious….but is a very special time of testing and trials. We should consecrate ourselves, be prayerful and available to our Almighty Father. There is a lot of suffering going on and we need to understand and discern what God is doing. We need to be aware of the reason for certain situations that we, our friends and loved ones are going through. We must pray and move in the direction He leads us to. If you serve in the church…serve. If you feed the poor….feed them. If you’re called to intercede….pray like crazy. And for everyone to do…spread the good news. There is a special anointing on this time. Plug yourself into God…..listen for His voice…abide in Him and Him in you…this will assure you of being in His will for your life. God hears the prayers of the humble and the righteous. Listen to the Master……please….He is speaking. Pray for wisdom…..Know who you are in Christ…. Involve yourself in daily prayer and bible study…know who you are in Christ…..be the Christian you are and stand up for what is right. 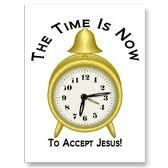 Time is short and it’s no time for playing games with God……no lukewarm christianity. God has prepared you for this season…..be completely dressed in your armor….be ready for battle. Jesus already won the battle……so let’s move out…let’s roll. The “AFTERSHOCKS” are going to increase….don’t get prayed up….be prayed up….get that walkie talkie out and stay in constant communication with the Father…..know where you are to be and what you should be doing. Everything is going to be alright…..we are not alone….God has promised in His word to be with us through everything…..He promised us mercy, peace and He has given us so much grace. See to it that you are not alarmed !!!!!!!!!!!!! Jesus said this in the scripture above.